Niacin is a form of vitamin B3, a water soluble vitamin important for proper cell function in the body. Niacin can be found naturally in foods such as yeast, meat, fish, milk, eggs, green vegetables, and cereal grains. Some people also take niacin medications and supplements and to improve health and often to lower cholesterol. There are many types of niacin available to treat high cholesterol. Before using niacin (vitamin B3, nicotinic acid) supplements to lower cholesterol levels it's important to understand the different types and the other health benefits of niacin. There have been scientific studies investigating the different health benefits of niacin and niacin supplements. For example, some people use niacin to treat conditions including cardiovascular disease, atherosclerosis, Alzheimer's disease, cataracts, erectile dysfunction, sickle cell disease, and other conditions. However, there is not enough scientific evidence to support these benefits. There is some evidence, however, that niacin may play a role in the treatment of metabolic syndrome, cholera, and abnormal levels of fat in the blood. The management of cholesterol is one of the most common uses of niacin supplements, specifically, nicotinic acid. Nicotinic acid is a form of niacin that your doctor may recommend for lowering your cholesterol. Typically given in high doses, it can raise your ​HDL ("good" cholesterol) while lowering your LDL ("bad" cholesterol) and triglycerides (a type of fat found throughout your body). Nicotinic acid is mostly available without a prescription. When buying OTC nicotinic acid to lower your cholesterol, avoid the forms called niacinamide and inositol. Why? Because they have little or no cholesterol-lowering effect. Nicotinic acid is available in immediate-release, sustained-release, and extended-release forms. These products work in the same way to lower your cholesterol, differing only in how long they take to release nicotinic acid into your body. Immediate-release (IR) nicotinic acid, also known as "fast-release" nicotinic acid, goes into your blood as soon as you take it. Because the whole dose goes into your blood at the same time, IR nicotinic acid is also the form that causes the majority of niacin-induced side effects such as flushing, warmth, and itching. Some bottles of nicotinic acid may not state if they contain an “immediate-release” or a “sustained-release” (see below) product. If the label doesn't say which form of nicotinic acid is in the bottle, it's safe to assume that it's an IR product. Sustained-release (SR) nicotinic acid, also known as "timed-release" nicotinic acid, is designed to release nicotinic acid into your body over a period of time instead of all at once. If you take an SR nicotinic acid product, you may experience niacin-induced side effects, but they usually won't be as uncomfortable as you'd feel if you were taking an IR product. You need to know that the SR form of nicotinic acid takes the longest of the three forms to leave your body completely. That means that it stays in your body longer than the IR or ER form. For this reason, people taking SR nicotinic acid have an increased risk of liver toxicity, which is rare in those taking IR and ER products. To reduce your risk of liver toxicity, you may want to take an ER form of nicotinic acid instead of an SR form. Extended-release (ER) nicotinic acid fits somewhere in between the IR and SR forms of nicotinic acid. Its release into your body is a little slower than with the IR form, but it's faster than with the SR form. Side effects still may occur, but again, they're not as severe as with the IR form. Additionally, there are no problems with liver toxicity associated with this form of nicotinic acid. While niacin supplements may be safe for many people, there are some side effects to be aware of. Some people experience flushing when they take it and the supplement may cause burning, tingling, itching, and redness of the face, arms, and chest, as well as headaches. Consuming alcohol may make your symptoms worse. Less common side effects of niacin include stomach upset, intestinal gas, dizziness, and pain in the mouth. Higher doses (over three grams per day) may cause more severe side effects including liver problems, gout, ulcers of the digestive tract, loss of vision, high blood sugar, irregular heartbeat, and other serious problems. There are also concerns about an increased risk of stroke in people taking niacin. For these reasons, it is important that you work with your healthcare provider if you choose to take niacin supplements. There is not enough scientific data to provide a single recommended dose of niacin or nicotinic acid. The appropriate dose for you may depend on factors including your age, gender, and medical history. Speak to your healthcare provider to get personalized advice. Your provider can work together with you to come up with a plan to manage your medical condition and stay healthy. Even if you're buying nicotinic acid over the counter rather than with a prescription, don't think of it as "only a supplement." it's still a form of medication, despite the fact that another name for it is "vitamin B3." Be sure to get your doctor's okay before you start taking it, and report any severe side effects to your doctor right away. “Niacin and cholesterol.” University of California, Berkeley-Berkeley Wellness (2011). Pieper JA. 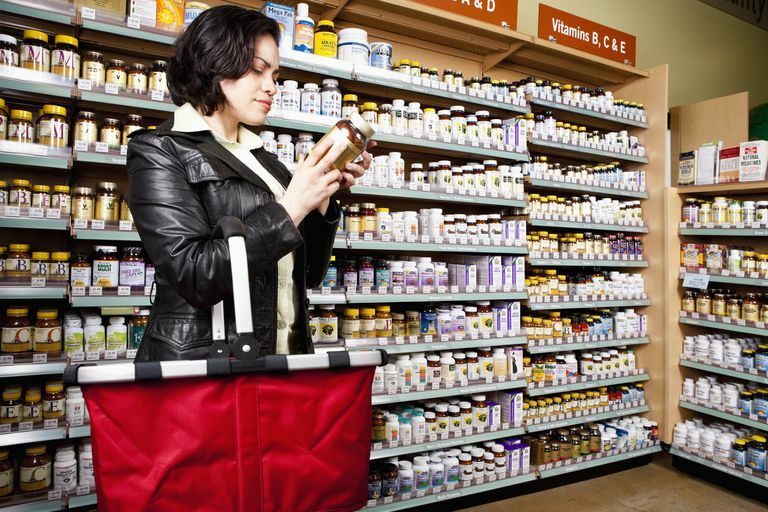 "Understanding niacin formulations." Am J Manag Care. 2002; 8(12):S308-S3014. Niacin. Fact Sheet for Health Professionals. National Institutes of Health Office of Dietary Supplements. Is Niacin Safe to Take to Lower Your Lipids?